Apply to clean damp skin avoiding the eye area. Leave on to dry for 25 minutes. Rinse with water and gently pat dry. 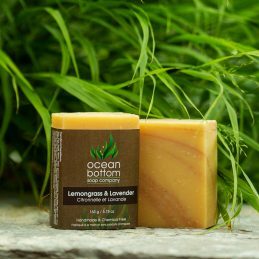 Benefits: Free of aluminum, parabens, phthalates, plastics and baking soda! Our sustainable packaging is 100% recycled with up to 95% post consumer content comprised of natural fibers. Notes: Proudly made in Canada. 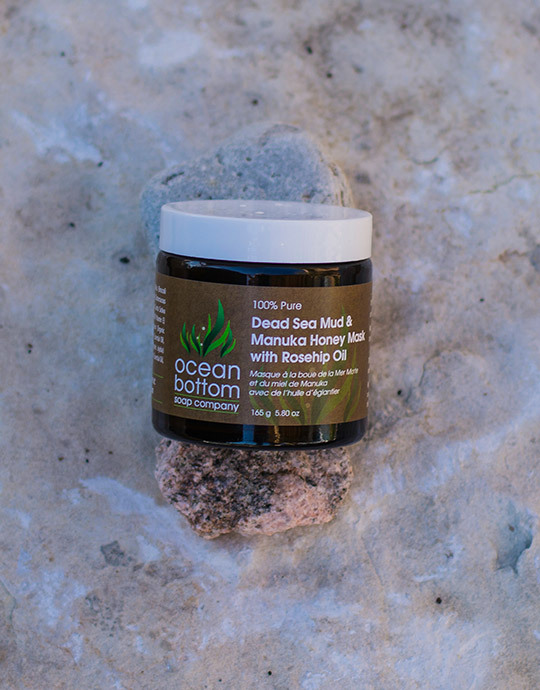 Ingredients: Maris Limus (Dead Sea Mud), Leptospermum scoparium (Raw Manuka Honey), Brassica oleracea italica (Cold-Pressed Broccoli) seed oil*, Rose rubiginosa (Rosehip) Oil, Calophyllum inophyllum (Cold-Pressed Tamanu) Oil*, Diatomaceous Earth (Fossil Shell Flour), Rhassoul (Moroccan Lava) Clay, Daucus carota (Cold-Pressed Carrot) Oil*, Azadirachta indica (Cold-Pressed Neem) Oil*, Mixed Tocopherol (non-GMO Vitamin E), Citrus bergamia (Bergamot – Bergapten Free) Essential Oil*, Santalum Spicatum (Sandalwood) Essential Oil, Pelargonium asperum (Geranium) Essential Oil*, Nelumbo nucifera (White Lotus) Absolute, Simmondsia chinesis (Jojoba) Oil*, Hippophae rhamnoides (CO2 Extracted Sea Buckthorn) Oil*, Curcuma longa (Turmeric) Essential Oil*, Borage officinalis (Cold-Pressed Borage) Oil*, Avena sativa (Gluten-Free Oat) Oil. 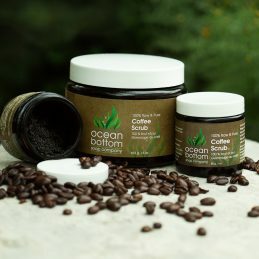 * Indicates certified organic ingredients. All our essential oils are gently steam-distilled. 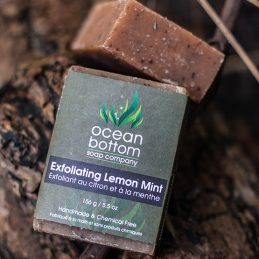 I have purchased soaps from ocean bottom for over 5 yrs and will continue to order because of the quality and results and customer service. I recently tried the mask for the first time. I am SOLD on this product. My skin felt soft and tight all day long after using it. This product is going to be a new addition to the other items I frequently order!! Thanks Char for making amazing products! 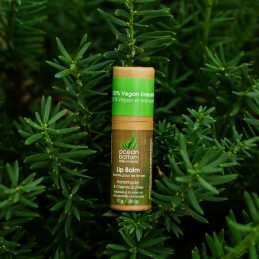 Drench your lips with our vegan unscented lip balm which consists of ingredients to keep your lips moisturizing longer to prevent the need for frequent re-application. 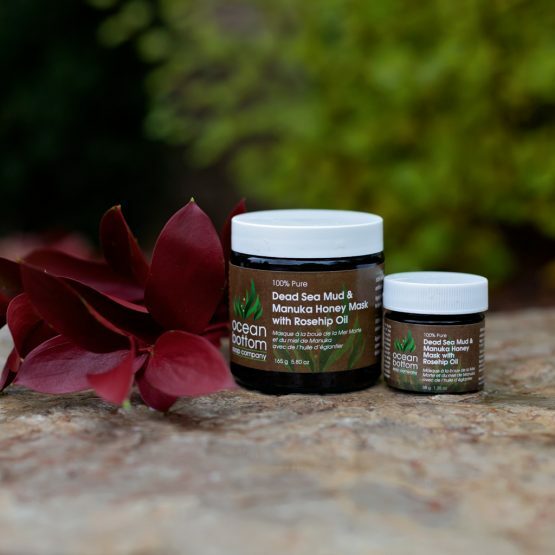 A luxurious combination of skin loving oils. 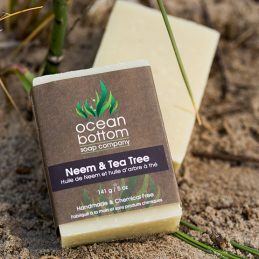 Australian tea tree is a powerful germ fighter, anti-fungal and antibacterial essential oil. Neem oil, a highly regarded oil from India used for thousands of years for chronic varying conditions. Benefits: Antibacterial, detoxifying, therapeutic, problematic skins.